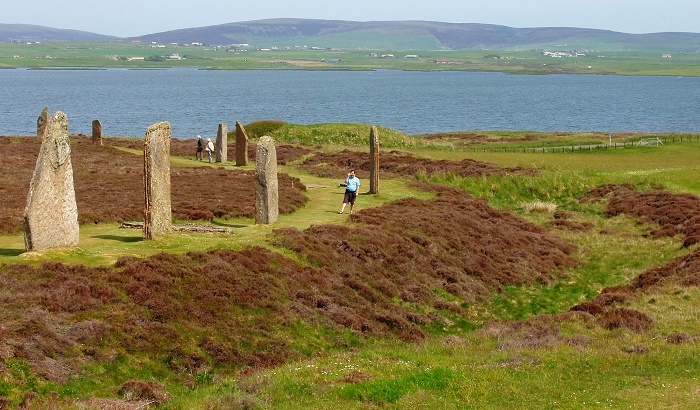 The Ring of Brodgar is a famous and historic Neolithic henge and stone circle, located on the largest island of the Orkeny islands which are part of the Northern Isles in Scotland, within the United Kingdom of Great Britain and Northern Ireland. 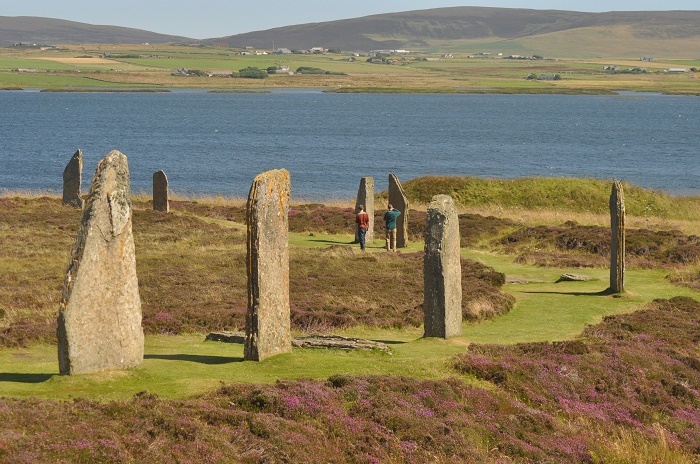 As one of the most iconic landmarks of Orkney’s ancient heritage, it is part of the Heart of Neolithic Orkney World Heritage Site, located more precisely in the West Mainland parish of Stenness. 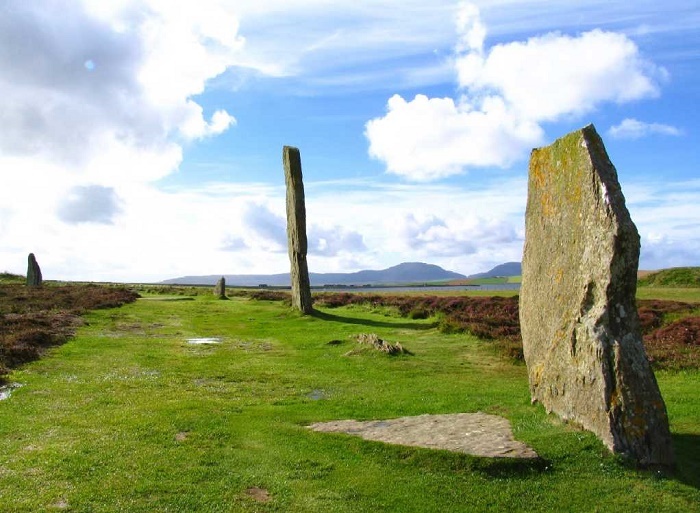 This glorious site is comprised of a massive stone circle, that originally consisted of 60 stones, however, today only 27 survive today, at least 13 prehistoric burial mounds, and a large rock-cut ditch that surrounds the stone circle. 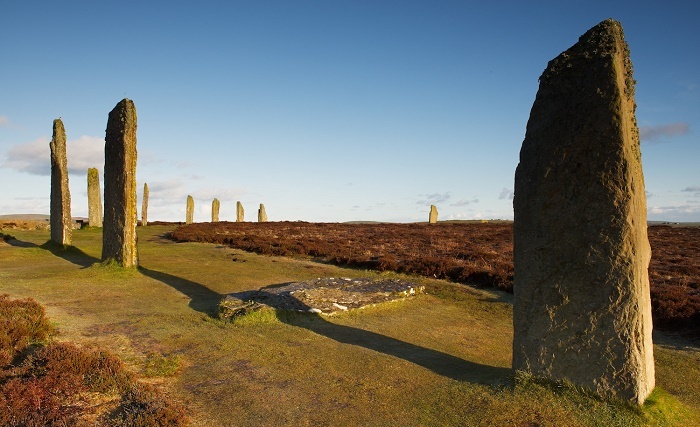 The interior of the Ring of Brodgar was never fully excavated, nor scientifically dated, which is the reason why the actual age of the monument is still uncertain, nonetheless, it is generally assumed to have been erected between 2500 BC and 2000 BC. 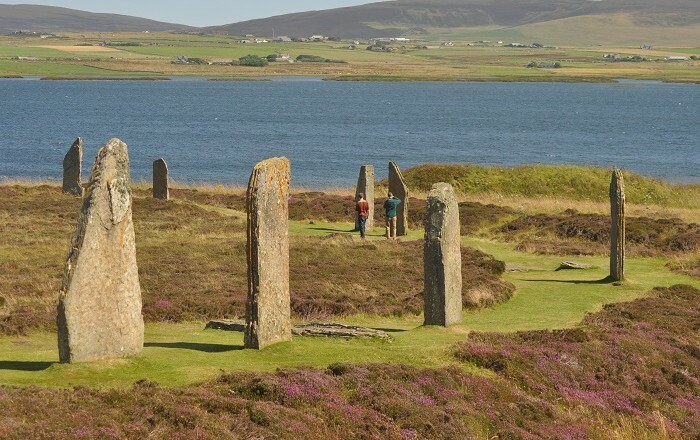 Being generally thought as the last of the great Neolithic monuments built on the Ness, the Ring of Brodgar is 104 meters (341 feet) in diameter, making it the third largest on the British isles, which is so important that it was inscribed on the UNESCO World Heritage List in 1999, and today is one of the most interesting places to be seen from the isles. 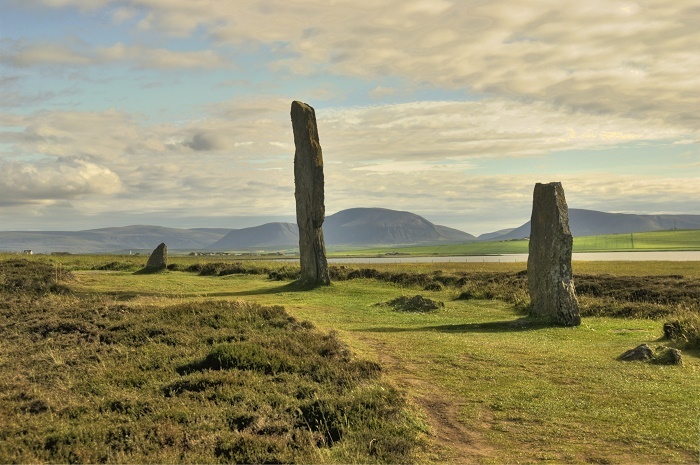 The tallest stones are located to the south and west of the ring, set within the circular carved rock ditch which is up to 3 meters (10 feet) deep, 9 meters (30 feet) wide and 380 meters (1,250 feet) in circumference. 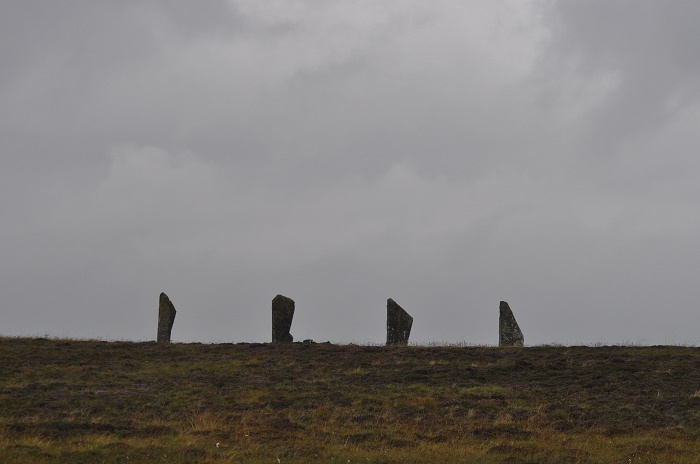 As seen like this, the ditch does not constitute a true henge as there is no sign of an encircling bank of earth and rock, nevertheless, plenty of archaeologists are still referring to it as a henge. 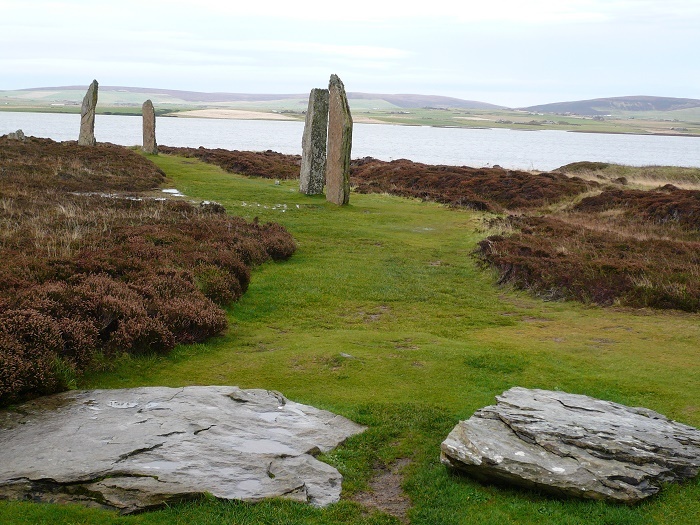 After it was abandoned, it was spotted for the first time in the early 16th century by the enigmatic author Jo Ben, which was the oldest surviving account of the Orkney Islands. 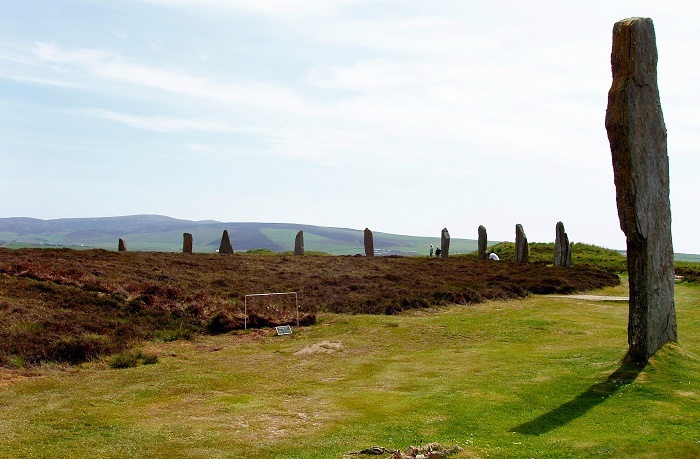 Even in 1846 the Scottish geologist Hugh Miller visited the site and wrote that the stones “look like an assemblage of ancient druids, mysteriously stern and invincibly silent and shaggy”. 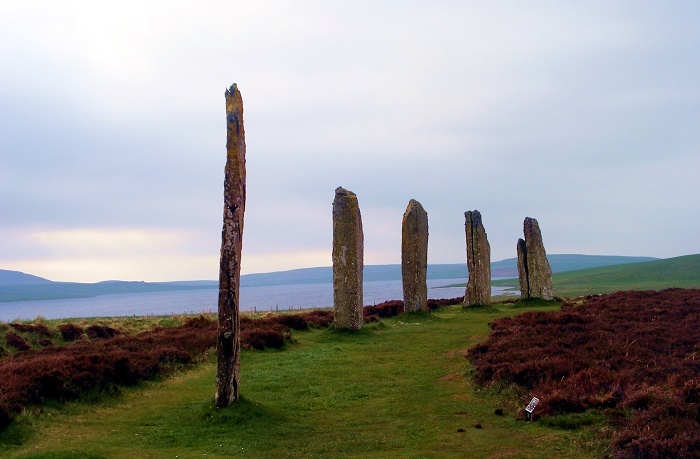 Still, even though we do not have the correct reason why this alluring place was built, whether as an astronomical observatory, religious shrine or rituals, it will continue to speak of the past of the Orkney islands that should continue to be explored and excavated, so that we would learn much more about the treasure history of the Ring of Brodgar.